Lenovo is a Chinese multinational tech company best known for its PCs, tablets, and smart phones. With Big Apple Buddy’s personal shopping service, you can now buy the latest technology from the USA Lenovo online store anytime, anywhere. The Lenovo ThinkPad X1 Tablet is a tablet, laptop, and canvas wrapped up into one device. The lightweight and portable device has a 13” display, making it perfect for the traveling professional. It has a detachable keyboard, eliminating the need for a laptop and making it easy to transform the device from a tablet mode to a PC mode. 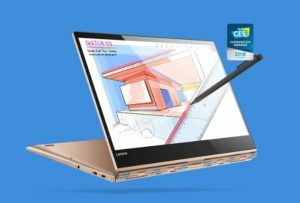 Lenovo’s Yoga 900 series has a sleek 4K display that rotates around an intricate watchband hinge. This laptop is multifaceted and perfect for both professional and creative uses. It has 360 sound with Dolby Atmos and a long-range voice activated assistant. The Lenovo IdeaPad 700 series is one of the slimmest laptops you can buy. This lightweight and ultra-slim laptop is just as durable as the rest of Lenovo’s products, but it comes in such a portable and slick package. The protective finish and rubber detailing ensure that the laptop continues to look brand new for as long as possible. 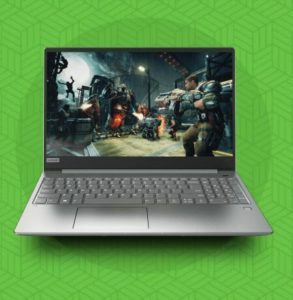 The USA Lenovo online store unfortunately does not offer international shipping to all countries outside the States. Not to worry though! Big Apple Buddy, your personal shopper, can help you buy products from the USA Lenovo online store and ship them to your doorstep, no matter where you are in the world. We offer international shipping to over 110 countries including Australia, Austria, Azerbaijan, Bahrain, Belgium, British Virgin Islands, Brunei, Bulgaria, Canada, Chile, Costa Rica, Croatia, Czech Republic, Denmark, Estonia, Fiji, Finland, France, French Polynesia, Germany, Gibraltar, Greece, Greenland, Hong Kong, Hungary, Iceland, Indonesia, Ireland, Israel, Italy, Japan, Jordan, Kuwait, Latvia, Liechtenstein, Lithuania, Luxembourg, Macau, Malaysia, Maldives, Malta, Marshall Islands, Mauritius, Monaco, the Netherlands, Netherland Antilles, New Zealand, Norway, Oman, Poland, Qatar, Romania, San Marino, Saudi Arabia, Serbia and Montenegro, Seychelles, Singapore, Slovak Republic, Slovenia, Spain, South Africa, St. Lucia, Sweden, Switzerland, Taiwan, Thailand, the UAE, the UK, Vatican City, and Vietnam. If you would like to buy from the USA Lenovo online store, simply let us know which items you would like to order (by filling out the form below) and we’ll get back to you with a free international shipping quote within 24 hours!